It can be a hard world *out there* and getting a job can be even harder and more frustrating. You will soon begin to realise that having an amazing degree does not automatically secure you a job. One of the annoying things is often parents and universities will tell you that gaining that degree will get you a job! It will soon become apparent – even with an amazing résumé attached to your degree getting a job still will not be easy. Unfortunately in many fields’ employers often look for experience over qualifications so to avoid this you need time while still at Uni to prepare for it. Our first suggestion is pretty obvious – if employers want someone with experience if you can participate in work experience activities while studying that will be a big help. Often students are reluctant to take on part time jobs for fear their grades will slip. This is of course a valid point (especially for those who struggle with the course load) and it can be also difficult to find work that suits your class timetable. Don’t write the idea off completely as too hard, searching for a job in January and then giving up is silly. Keep an eye on your local papers, websites, social media and university notice boards and papers. There will often be jobs that pop up especially aimed at students and remember any job will do, even working at KFC or Hungry Jacks will help. 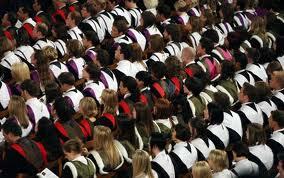 Universities often have clubs or societies and you should take advantage of that. These activities don’t often take up much of your time and can be a lot of fun; you’ll be able to meet like-minded people who can help your time at Uni be a little more fun. If there is no club available that suits your needs – why not start your own? This is a great example of forward thinking, organisation and problem solving skills all useful example to show off in an interview. At the end of the day your degree comes first so if part time work or volunteer work does disrupt your studies then you need to cut down on what you do outside school hours. Ultimately consider what will look best on your resume – degrees or a degree with some extra-curricular activities. Did you combine work and study? Did it help you? Did you find work sooner than fellow students who didn’t study and work? What are some good part time jobs?